Melbourne is a hip, dynamic metropolis, with an exciting city centre, inner-city neighborhoods that are full of unique character, and lush green parks and mountain ranges where you can enjoy Australian nature at its finest. The city is known for its many laneways, its cultural diversity, excellent dining options for all budgets, and amazing street art. It’s also known for being the coffee capital of the world, and for being regularly voted as the world’s most livable city! It’s official: you’ll find the world’s best coffee in Melbourne, as voted by over a thousand users on website booking.com. Melbourne beat out many of the world’s most renowned coffee cities, such as Rome and Vienna, for the title; you’ll certainly know why once you see how committed Melbourne baristas are to their craft. It’s actually hard to find a bad cup of coffee in Melbourne: the city touts itself as a world leader in coffee and café culture, and the inhabitants are proud to be coffee snobs! Cafes in London even advertise that they have Melbourne baristas, as Australian and New Zealander baristas essentially brought high-quality coffee to the city. Melbourne even plays host to a coffee expo, and the 2014 world barista champion Pete Licata (from the USA) has described coffee culture in Melbourne as “incredible”. If you’re a coffee lover, you’ve come to the right place! You’ll find great coffee just wandering through the laneways of the city, and there are actually tailored tours available to coffee aficionados: check out Hidden Secret Tours or Melbourne Coffee Tours for details. According to Yelp, the best cup of coffee in Melbourne can be found at Patricia on Little Bourke Street: it’s a tiny hole-in-the-wall place with no seating and a line-up to get in, but likely the best coffee you will ever taste! The staff are also friendly, and the place deserves the hype. Melbourne is very well-known for its street art, being considered one of the street art capitals of the world. The city council has designated certain areas as approved for street artists, and the street art here is of exceptionally high quality and changes regularly; it’s a great way for budding street artists to get experience in the artistic side of graffiti, and having structured locations for this amazing creative outlet helps to reduce the levels of graffiti elsewhere, as well as adding a great urban vibe that tourists and locals both enjoy. You’ll find a map of street art in Melbourne here. There’s even a Melbourne street art tour, run by street artists, for people who’d like a deeper understanding of what they’re seeing, how it’s made and who is involved in this fascinating underground art scene. An aimless wander through the many laneways of Melbourne is a wonderful way to see what this city has to offer. City maps are available at the Federation Square Visitor Information Centre, and many hotels; some of the most interesting laneways include Centre Place, AC/DC Lane (named after the famous Aussie rock band! ), Hardware Lane and Degraves Lane. You’ll find plenty to see, do, buy and eat, and gain a new appreciation of Melbourne’s urban culture. The main entrance to Flinders Street Station is a picturesque cultural symbol of Melbourne you’ll find on many postcards or tourist brochures: this gorgeous building was opened in 1910, and it is listed on the Victorian heritage register. Inside you’ll find Australia’s busiest railway station, a small shopping area with tasty food options, and easy walking access to Southbank. Across the road, Federation Square is another Melbourne icon, with a unique and fascinating architectural design, making the Square quite unlike anything you’ve seen before. 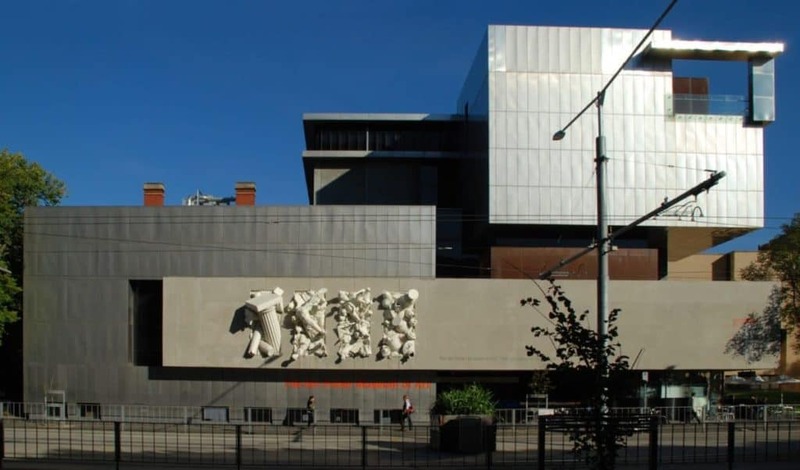 Once you’re at the Square, make sure that you visit the Australian Centre of the Moving Image, which has hosted fascinating displays on subjects such as Claymation, and the Ian Potter Centre art gallery. Melbourne is famous for its live music scene, particularly rock music. There’s plenty of bands playing at any given time, and the city attracts international talent, including of the up-and-coming variety. It’s also the home of the legendary Australian singer-songwriter-poet-author Nick Cave. Some popular spots to catch a band include the Corner Hotel, the Evelyn Hotel, the Spotted Mallard, the Post Office Hotel, the Ding-Dong Lounge, the Esplanade Hotel and the Palais Theatre. 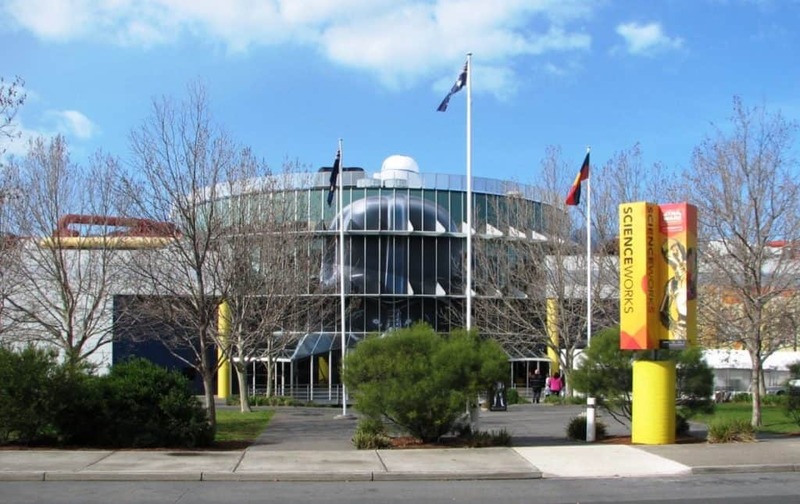 Scienceworks houses an exciting array of hands-on science exhibits, workshops and events. It also includes a planetarium, a lightning room, and a mini-metropolis called Nitty Gritty Super City, that demonstrates in small-scale how a city works. The planetarium hosts informative shows, and the Lightning Room offers 30-minute live shows that include a gigantic Tesla Coil that can generate over two million volts of electricity to produce 3 metre lightning bolts. Children and adults alike will have a great time here! The Botanic Gardens are walking distance from the city centre, and offer an oasis of calm, peace and greenery just outside of the urban bustle. They’re a popular spot for local walkers and joggers, and the breathtaking landscapes make them ideal for a peaceful meditation session. With more than 8,500 plant species, the botanic gardens are colorful, gorgeous and fascinating. You could even bring a sketch book and try your hand at drawing some of the beautiful flowers or backdrops! Melbourne has the largest Greek population of any city outside of Athens, and the close-knit, vibrant Greek community always has plenty of cultural events going on. There’s also the wonderful Greek Precinct, where you’ll find Greek cuisine of a standard that you’d expect in Greece itself! This area also has many Greek cultural shops, and the Hellenic Museum is nearby. If you’re in Melbourne in March or September, you may also wish to check out the Antipodes Festival or the Greek Film Festival respectively. The Melbourne Cricket Ground bills itself as “Australia’s favourite stadium”, with good reason. Melbourne is a sports-mad city, and the MCG is the centre of the action. Home to the Melbourne Cricket Club, the stadium also plays host to the wildly popular AFL, as well as international soccer, rugby and various other events. Originally built in 1853, the stadium has been renewed many times, and is the largest stadium in Australia, as well as being the 10th largest in the world: the record for the largest crowd at the MCG is around 130,000 people. The MCG is also home to the Australian Gallery of Sport and Olympic Museum. Check out the MCG website for the latest on what’s on at the stadium, and catch a game of cricket or AFL to experience Melbourne’s passion for sport! Melbourne is renowned for its world-class shopping; in particular, Chapel Street is popular with both local and international celebrities for its excellent range of high-quality clothing or visit the former Melbourne Government Post office, wich now functions as a shopping mall. Bridge Road in Richmond is a great spot for outlet shopping, great food at budget prices, and excellent homewares. Fitzroy is well-known for its eclectic, vintage finds, and further afield, Highpoint and Chadstone are excellent, large shopping malls with a wide range of Australian and international brands. Old Melbourne Gaol is a museum in the city centre, which operated as a prison from its opening in 1842 to 1929. It was the site of the execution of many of Australia’s most infamous criminals, including Ned Kelly; 133 people were executed here while the prison was in operation. The museum offers a glimpse into life in the 1800s; some mentally ill and homeless people were also interred in the prison, and the harsh conditions they were subject to seem quite shocking by modern standards. The museum includes an impressive range of artifacts, including the death masks of many executed criminals. The museum is considered by some to be haunted, and ghost tours are offered by the museum that tell stories recorded by visitors and staff alike. The Immigration Museum is a celebration of the melting pot of modern-day Australia, and the many cultures that have come together to make this country what it is today. Located in the beautiful Old Customs House, the museum tells the stories of the diverse populations of Melbourne and Victoria at large, and tells of the immigration experience, the definitions of identity, and the long and arduous journey that many immigrants would have experienced on their way to Australia. It also includes the Customs Gallery, a record of the past incarnation of the Old Customs House as the focal point for immigration, trade and shopping during the 19th Century. The Crown Casino Complex is a massive casino and resort complex adjacent to the Yarra River; it is the largest casino complex in the southern hemisphere, and one of the largest internationally. Open 24 hours, 7 days a week, except for 3 public holidays per year, it’s great fun if you enjoy gambling, but has so much more to offer: it’s a luxury shopping destination, as well as having wonderful restaurants and pumping nightlife. The Atrium area is gorgeous, with lovely fountains and sound/light shows, and there are pyrotechnic towers just outside the complex itself that are fascinating to watch; shooting fireballs into the night sky, they are referred to as the “Gas Brigades”, and are the largest of their type in the world. The Queen Victoria Markets have been an important food hub of Melbourne since they were opened in 1878. Home to some of Melbourne’s tastiest produce stalls and delicatessens, you’ll find excellent cheeses, olives and smoked meats here. The building itself is a gorgeous example of Victorian architecture, and you’ll also find many artisanal crafts made by local creatives, as well as souvenirs for your friends back home. Various events are held at the markets during the year, so check the website to see what’s on! There are several Aboriginal art galleries within Melbourne’s city centres and surrounds, as well as an extensive collection of Aboriginal art within the City Gallery (inside Town Hall), the Flinders Lane Gallery, the Ian Potter Museum of Art and NGV International. Aboriginal art is lauded internationally for its beauty and symbolism, and Melbourne is an excellent spot to learn about the importance of art in indigenous culture, and the beauty of the artworks. The Lygon Street Italian Precinct, also known as Little Italy, is a gorgeous leafy street running through several Melbournian suburbs, with a rich café culture that introduced Melbourne to the love of high-quality coffee for which the city is now famous. You’ll find world-class Italian dining here, as well as Italian produce and culture stores, the beautiful Lygon Buildings (built in 1888), and shopping boutiques. The Block Arcade is a retail precinct housed in a gorgeous heritage shopping arcade, opened in 1892. Rich in history and boasting stunning architecture, the Block Arcade is a step into the nostalgia of the past, as well as housing some lovely luxury boutiques, and the quirkly Art of Dr. Seuss gallery, the Hopetoun tearooms and Haigh’s chocolates. The Carlton Gardens complex are a 26-hectare site containing the Royal Exhibition Building, Melbourne Museum and Imax cinema. The site is on the UNESCO World Heritage List, and is an easy walk from the city centre. It’s well worth a visit for the immaculate gardens, lovely fountains and beautiful architecture. The gardens are a lovely spot for a stroll, and to get to know a diverse range of Australian and international flora (and occasionally fauna!) You can also often catch events here, including gardening festivals. St Kilda is full of attractions for tourists and locals alike, from the delicious cakes of Acland Street to the community gardens and the thriving nightlife. There’s also a gorgeous beach, with famous Victorian beachhouses, and a pier; surprising to many, this busy suburb of Melbourne has some unexpected residents, a colony of the St little penguins! This colony established itself in the 1970s on the St Kilda breakwater, and arrive just after sunset every night of the year, being particularly numerous in summer. Penguin guides are on duty during the daylight savings period, to answer any questions about the penguins that you may have. 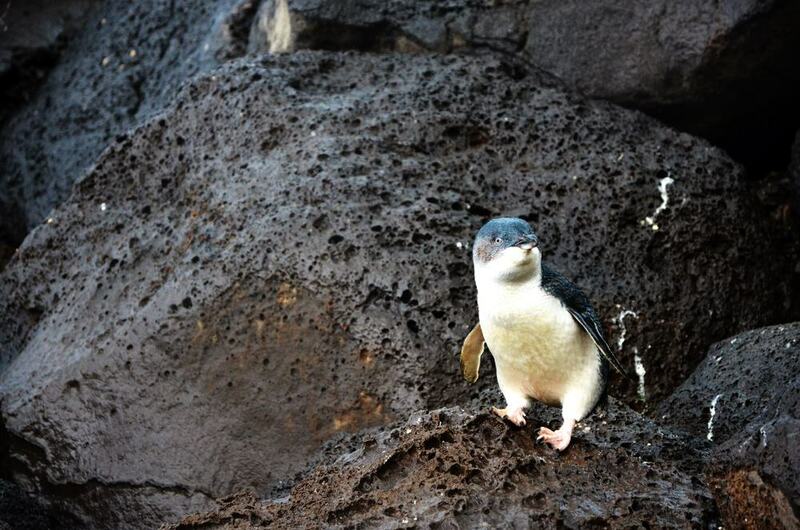 They do request that visitors treat the penguins, their nesting sites, eggs and chicks with respect: they love their family as much as you do! The Dandenong Ranges is a gorgeous mountain range on the outskirts of Melbourne, and it’s a perfect spot for walkers, cyclists, hikers, nature-lovers and bird-watchers. The breathtaking scenery in the ranges make it a popular tourist destination, both for active travellers and for romantic getaways; it’s also a popular spot for wedding photos. You’ll find many charming little towns within the ranges, fantastic farm-gate produce, and the famous Puffing Billy steam train. Melbourne is renowned for its festivals; it’s worth checking out the visitor centre in Federation Square, or looking online, to find out what’s going on during your visit. Some particularly popular festivals include White Night (an illumination festival in the inner city), the Lonsdale Street Greek Festival, Cultural Diversity Week, the Lunar New Year celebrations, the Midsumma Festival, the Moomba Festival and the Christmas Festival. The Werribee Open Range Open Zoo is a bit of a trek from the city centre, but it’s well worth it: this African-themed safari-style zoo allows you to get very close to a wide variety of exotic animals. It also hosts various events, including the Rhythm of Africa. It’s a great spot to keep younger travelers entertained, but also a lot of fun for wildlife-loving adults! There’s over 100 galleries in Melbourne, ranging from small studio galleries to the huge NGV, and with almost any art style you can imagine, including Melbourne’s iconic Heidelberg style. If you’re an art lover, then you may wish to spend several days getting to know Melbourne’s vibrant art scene. You’ll find some of the better-known galleries listed here. Luna Park opened in St Kilda in 1912, and the Scenic Railway started operating in the same year. This rollercoaster holds the honor of being the world’s oldest continually operating rollercoaster, and while it looks quite rickety by today’s standards, it’s a fascinating taste of what theme parks of the past must have been like. Luna Park itself is free entry – you pay for what you ride – so even if you’re not a fan of theme park rides, you can still get some great photos on the grounds, and the rich history of the site makes it worth visiting in its own right. 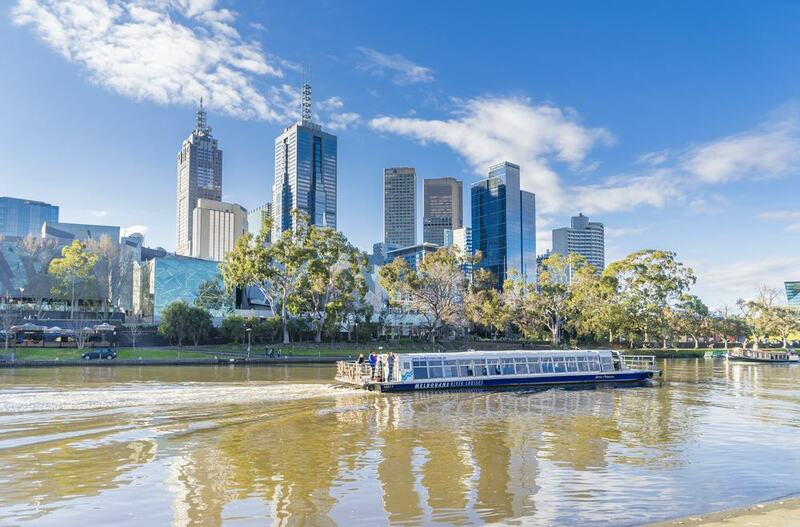 The Yarra River that separates Melbourne city centre from Melbourne is home to many stunning views, and taking a cruise down the river is a great way to experience this important part of Melbourne. Many cruise operators operate on the river, so you can pick and choose which suits your needs and budget the best. It’s also possible to kayak down the river with a kayak tour operator; keep in mind that the water quality of the Yarra is very low, so if you capsize you will need to shower and get changed as soon as possible.